In the developed world, scientific testing has shown bottled water to be no safer than tap water. Watch The Story of Bottled Water in this short video and discover if you need to be buying water at the shops. 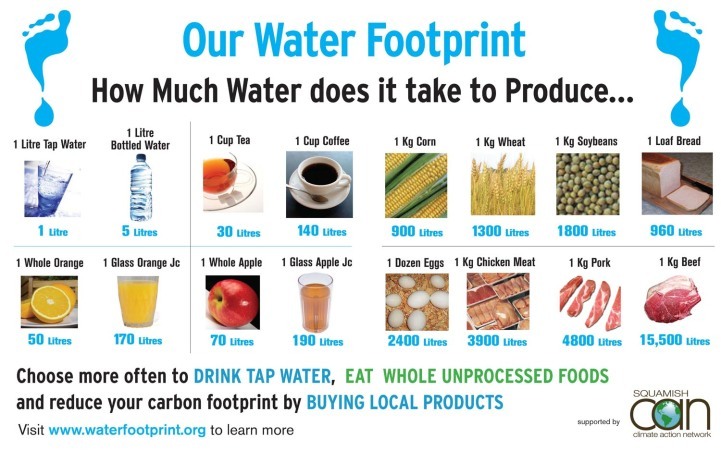 Start choosing goods produced by organisations who are taking action to reduce the impact of their operations on water and the environment. Try eating one less portion of meat and dairy products each week.